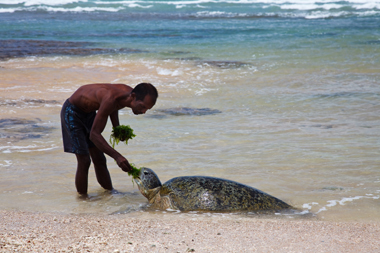 Sri Lanka is a haven for nature lovers. Despite its small size the island boasts of one of the highest rates of biological endemism in the world whether in plants or animals and is included among the top five biodiversity hotspots in the world. Like all islands, Sri Lanka counts numerous unique species. The 65,610 square-kilometer area houses an opulent wildlife gene pool, with its wildly diverse habitats, from cool misty mountains to rain forests, rolling oceans and expansive beaches, and even an arid zone like the plains of Africa. 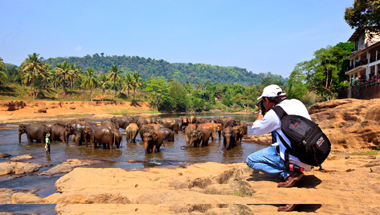 Yala National Park The second biggest national park of Sri Lanka is situated in the southeast of the island and has been a favorite among visitors for decades, where elephants, sloth bears, and many more exotic animals can be experienced up close. Above all the park is a top place for spotting leopards. 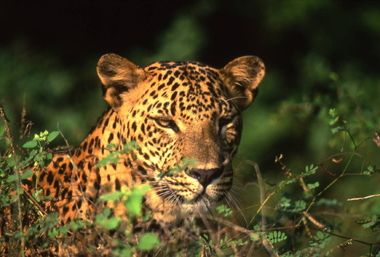 There are believed to be about 600 leopards across the island, and Yala National Park has one of the highest recorded densities in the world. Bundalla National Park Birds are the glory of the Sri Lanka's wildlife. 197 species alone live in the wetlands of Bundalla national park, which was declared a Man and Biosphere Reserve by UNESCO. Bundalla is an internationally important wintering ground for migratory water birds – one of the highlights being the Greater Flamingo. Horton Plains National Park The Horton Plains are located on Sri Lanka's highest plateau with altitudes between 2,000 and 2,300 m – a paradise for hikers. Large parts of the plains are still covered in beautiful and pristine stands of cloudforest, and the park covers a wild stretch of grassland with dramatically plunging cliffs. Famous is the viewpoint World's End with fantastic views to the ocean. Sinharaja Forest Reserve is not only a national park and biodiversity hotspot in Sri Lanka, but also a UNESCO World Heritage Site. Here, the last remains of the Sri Lankan tropical rain forest can be experienced on guided walks. Uda Walawe National Park 2,500-3,000 wild elephants are still supposed to live in Sri Lanka. The biggest population can be found at Uda Walawe, 200 km east of Colombo. Whale Watching In the turquoise waters of Sri Lanka, the awe-inspiring presence of the Blue Whale and the Sperm Whale completes the eco-attractiveness of this haven for wildlife. Good spots for whale watching are Kalpitya on the northwestern coast, Mirissa in the south and Trincomalee on the east coast. The main season for sea safaris is November to April. Eco-resorts like the Kandalama (www.heritancehotels.com/kandalama), the Ranweli Holiday Village (www.ranweli.com), Tea Trails Bungalows (www.teatrails.com), Vil Uyana (www.jetwinghotels.com) or Cinnamon Wild (www.chaayawildresort.com) are a perfect starting basis for the exploration of nature and wildlife.